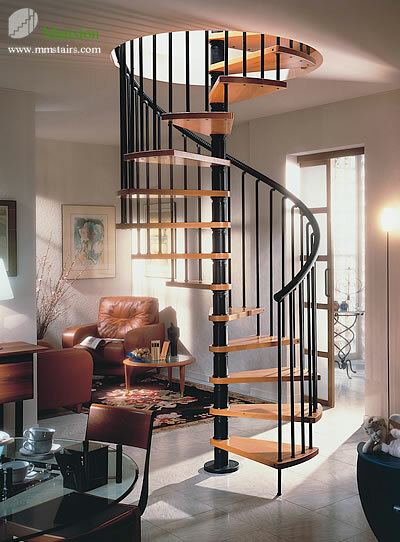 Spiral stairs is the best solution if you are pressed for space in an urban home, or perhaps to provide an alternative stairway in a town house. 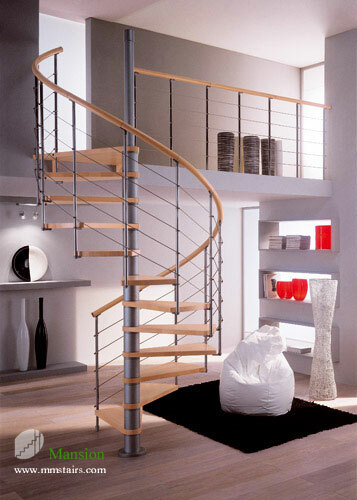 A circular runs around a central pole fixed on ground floor giving stability and classic design appeal. 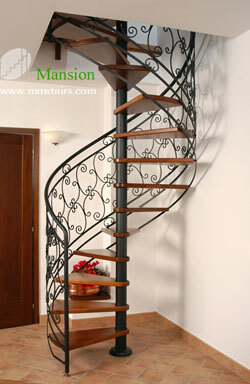 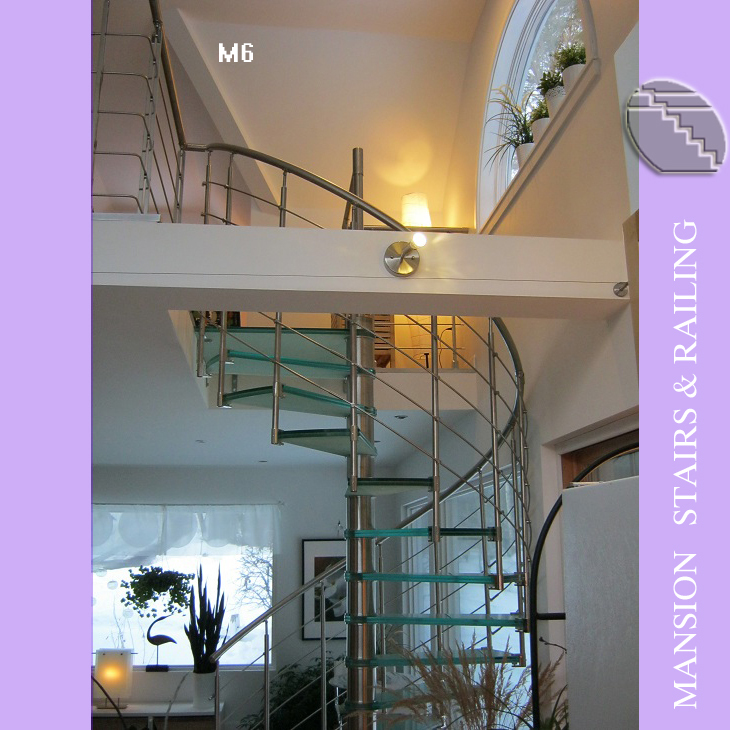 Most of people regard spiral stairs as an ART furniture while not only a plain stairs. 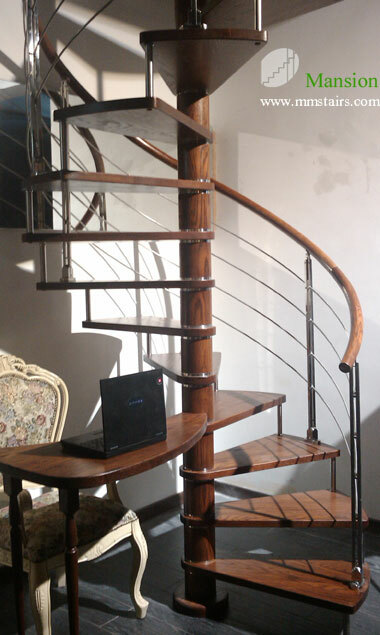 And applications for spiral stairs are wider and wider, loft stairs in residential house, stylish stairs in office building, attic stairs and outdoor stairs, where a straight run would require a longer support wall, and so on. 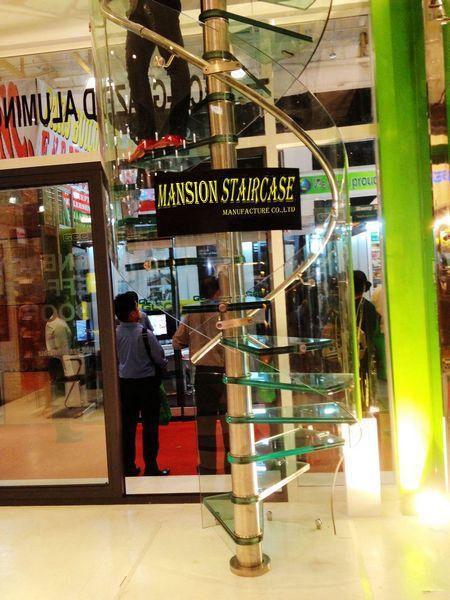 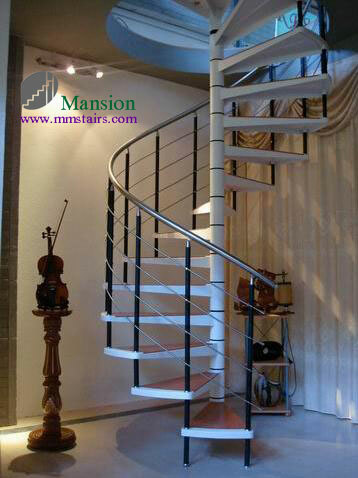 Based on this, spiral staircase is most popular modular stairs, DIY stairs. 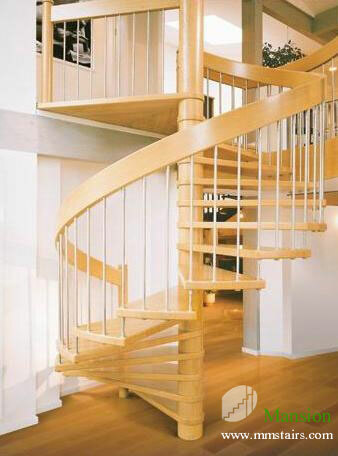 >>Disadvantages: it's impossible to move furniture up spiral stairs. 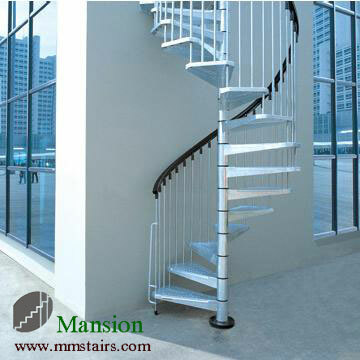 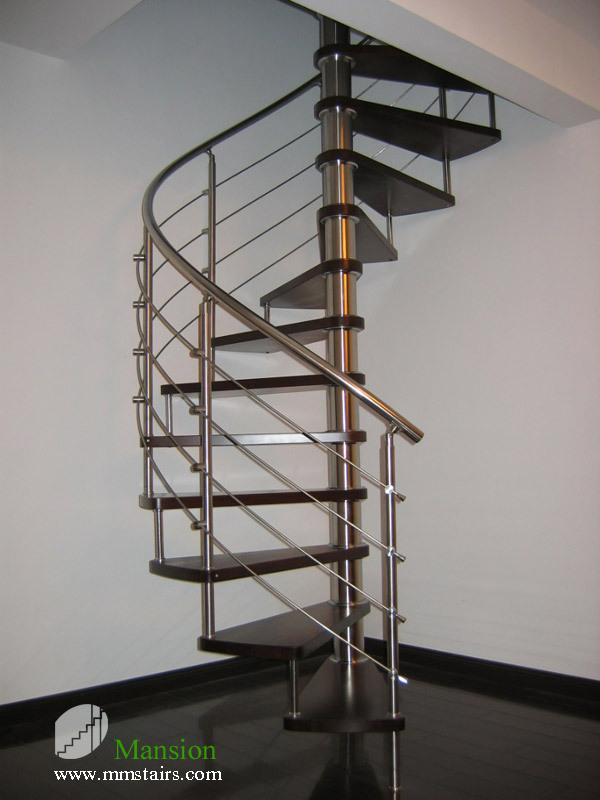 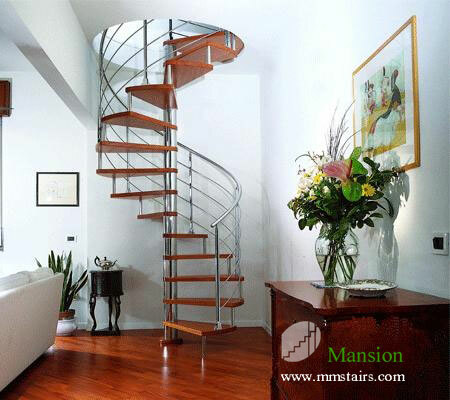 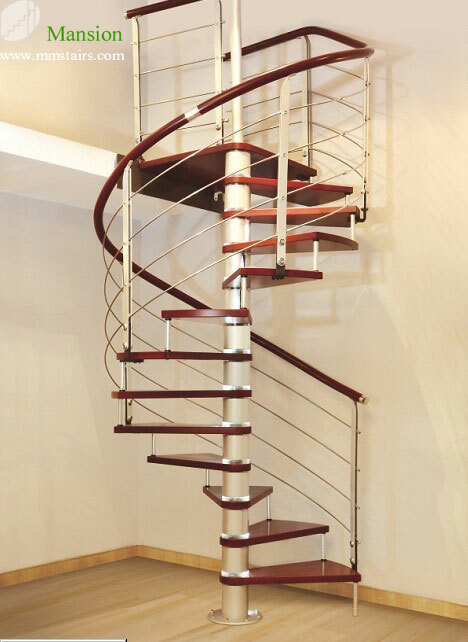 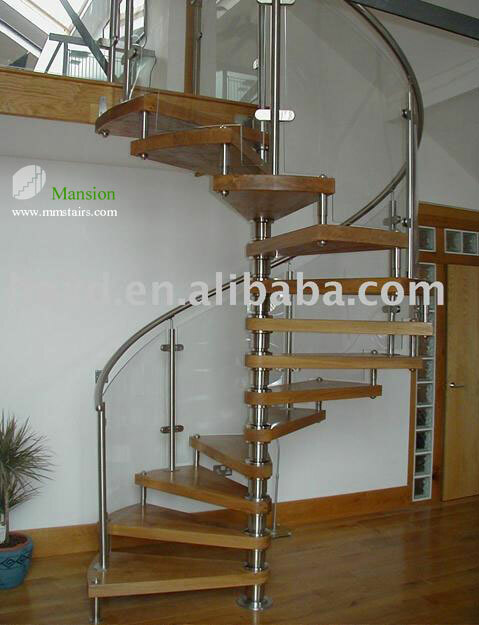 The spiral staircase we make:stainless steel glass spiral stairs, stainless steel wood spiral stairs, steel wood spiral stairs, steel spiral stairs, spiral stairs with craft iron railing, wood spiral stairs.